In the present times, all that a static website gives you is a place for your clients to come and know more about a business. 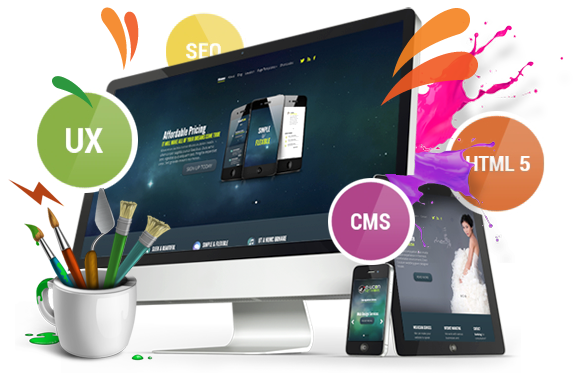 On the other hand, a dynamic website design offers you a plethora of tools and other alternatives which help you alter and update the website as per the needs of your business. In short, a dynamic website can be easily customised as and when required, that too in-house! And for what it’s worth, you will require no prior experience or expertise in the field to manage the content on your site! Now isn’t that amazing? If you’re wondering whether or not you need a dynamic website design, let us help you in finding your answer. If you are a small business with a limited range of products and service, you are probably good with a static website. On the contrary, if you’re a large business and need to truly engage your customers in order to gain their attention, then a dynamic website is the way for you, especially if you’re looking forward to managing an online shopping website, an online database, or collaborative content! For a website that is not only data-driven, but is also capable of attracting the attention of your target audiences, and even providing them with a flawless user experience, MATEBIZ, a pioneering dynamic website development company is just the right place for you! When you opt for Dynamic website design, you would get back end access that can be managed by a non-techie to update your website. At MATEBIZ, the nation’s leading dynamic website development company we take pride in designing and giving shape to multi-tiered websites, which comprises of various features including but not limited to integrated search engines, membership databases, as well as specialized functionalities such as shopping carts, payment gateways etc.to, meet the goals of your business. In fact, we can help you enjoy the following mentioned features in a flawless manner! And just so that it becomes easier for you to make your mind, let us tell you, dynamic website designs are favoured by search engines, and often enjoy much better rankings when compared to their static counterparts!